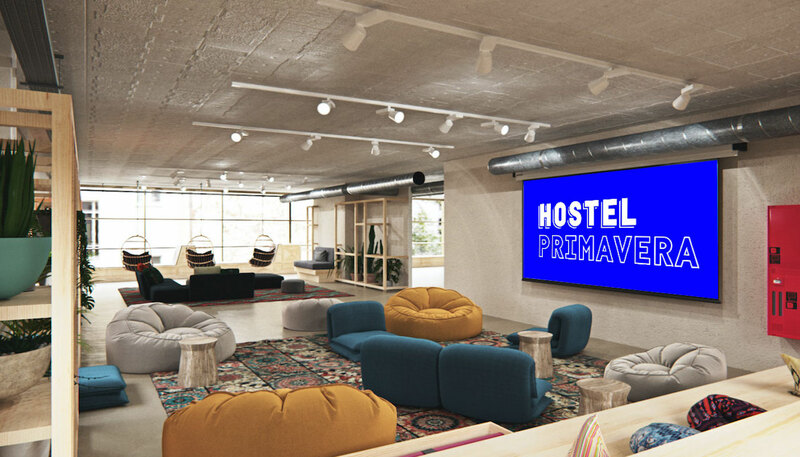 Are you looking for accommodation in Barcelona during Primavera Sound 2019? Live a whole PS experience at Hostel Primavera! Completely new, just four subway stops away from the venue (L-4 Villa Olímpica), with its own concert hall, parallel musical programme and surrounded by music fans like you. Just 20 minutes from the main venue by Bus (H16, N6) or Metro (L-4). Get your full festival ticket + accommodation and just enjoy Primavera Sound! Important! if you already have a ticket and you just want to book an accomodation for Hostel Primavera click here!